Title: Gladwyne Elementary School. Built 1958. Abstract: Gladwyne Elementary School, 230 Righters Mill Rd., Gladwyne, was built in 1958. Photo shows entrance from bus loop into auditorium and office foyer. 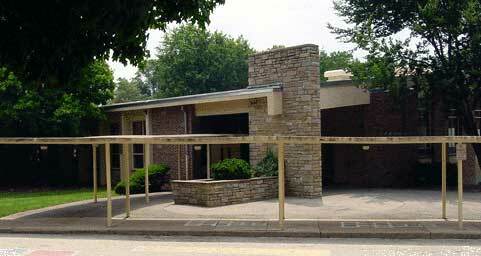 A major addition was built c. 1992 in the rear facing St. Christopher's Episcopal Church.